» The Best Hiking Podcasts Worth Listening To! The Best Hiking Podcasts Worth Listening To! A throwback to the days when families would gather around the radio to take in the dreary drawl of newsreaders and postprandial storytellers, the podcast has revolutionized the way we dither away our downtime. In the 21st century, this medium has transformed entertainment and free-time tarrying with a resource that, for the most part, skips the dreary and draws us into worlds far removed from our mundane, day-to-day existence, letting us learn, laugh, and dream all while we’re sat at our desks, walking the dog, beating out the miles on the treadmill, or filling in the time on our daily commute. Far from being merely a more pleasant way of killing time and humoring a bored brain than sudoku puzzles, the best of the podcasts out there offer a resource that can be simultaneously educational, actionable, and sometimes just downright inspirational and entertaining. 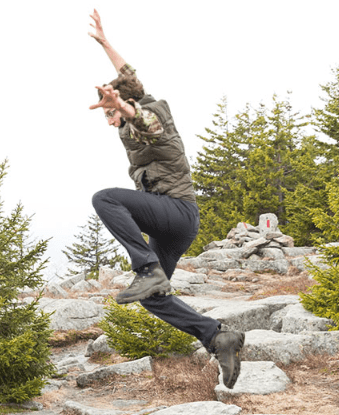 Those related to hiking that have emerged in recent years are no exception, and with more and more blogs and backcountry boffins going down the audio route, things promise just to keep getting better and better. But which of the dozens upon dozens of hiking podcasts currently vying for our attention are most worthy of it? 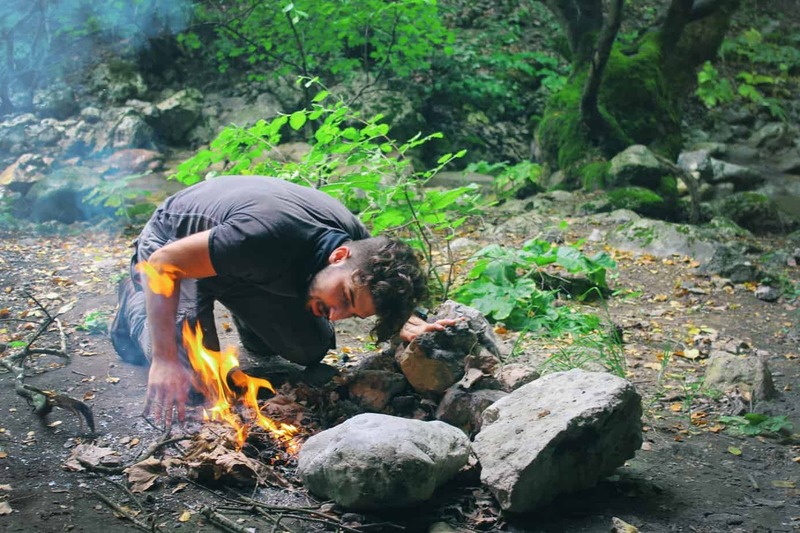 Below, we’re going to answer that question by introducing you to the best hiking podcasts out there and taking a look at what they’re all about. One of the oldest hiking podcasts out there, The Dirtbag Diaries has been regaling us with fun, factual, thrill-filled backcountry tales and testimonies since 2007. Not exclusive to hiking, this podcast covers a little bit of everything, from mountaineering and climbing to paragliding and pack rafting in an archive brimming with inspiring, entertaining, and also thrilling tales such as those recounted in the sub-series “Tales of Terror”, which is sure to have you rethink how bad you had it that time you stubbed your toe or forgot your half-time sandwiches on your day hike in the local foothills! We like this one for the very informal, chilled out storytelling style of TDD host Fitz Cahall and also because the wide range of topics covered will have you adding entries to your bucket list on a daily basis. For a bit of a tearjerker that’s as inspiring as it is heart-wrenching, we’d highly recommend “Paul’s Boots”, the tale of a widow who chooses to carry her deceased husband’s hiking boots over the 2,190 miles of the Appalachian Trail so his boots could be with her even if he could not. As you’d expect from backcountry bigwig Outside, this podcast is oozing with engaging and gripping content from start to finish. The podcasts all come under three headings — “Science of Survival,” “The Outside Interview,” and “Dispatches” — that cover everything from athletic longevity and mental health to interviews with Alex Honnold and a surprisingly interesting discussion on the existence of the Bigfoot. While centered on any subject matter involving the great outdoors, most episodes manage to integrate elements of culture, politics, history, and the arts, making this a sort of one-stop-shop for any curious-minded podcast fan, no matter your usual tipple. 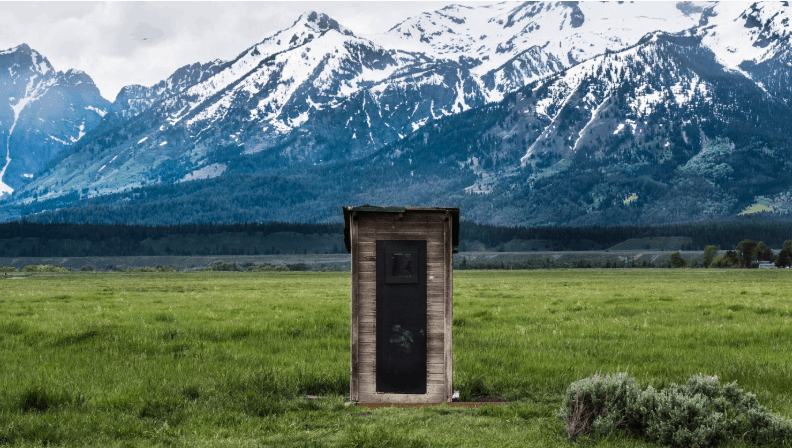 One of our favorites is “An Amazingly Crappy Story,” a comical and informative look at the efforts put into dealing with human waste in our national parks. Far from “crappy,” this one will have you laughing, ruminating, and potentially petitioning your local park or congressman about a revision to the rules of how we are to answer “the calls of nature” when out in the wild. She Explores blog has been a longstanding favorite among hikers on account of its thoughtful, informative, and downright inspiring content. And its fans aren’t purely female, either. While placing emphasis on advice specific to female outdoors-goers, the content on this one applies to and appreciated by anyone and everyone who likes a good story set in a wonderful and wild location or looking for tips on how to replicate that story and make themselves the protagonist. She Explores founder Gale Straub branched out into the sound-based delivery of her blog last year, and we just can’t get enough of it. Tying in tales from everyday life with the epic amount of experience she has accumulated on the trail, this podcast offers unique perspectives, plenty of laughs, pearls of wisdom, and some plain riveting storytelling. Gale may be badass almost by definition, but her podcasts are presented in a way that makes them appeal to everyone, from the occasional day-hiker and armchair adventurer to the veteran of every long-distance trail out there. 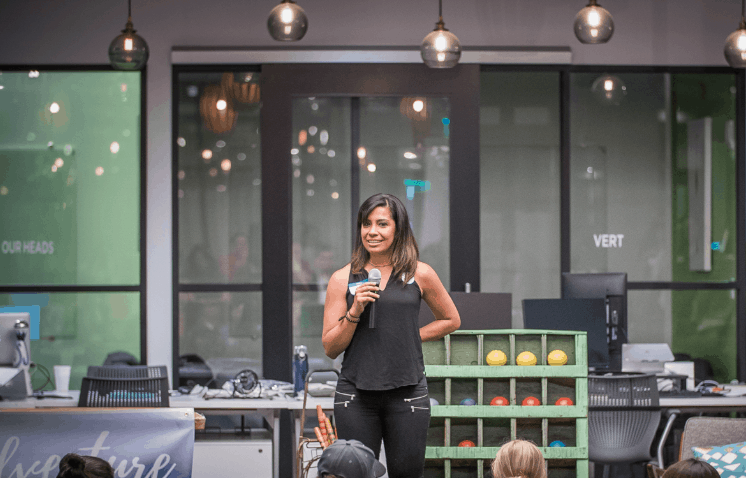 One of our top picks is Episode 81, “Venturing in the Mountains and in Business,” in which the founder of She Ventures and Move 30 Collective Georgina Miranda shares the inspirational tale of how her time climbing some of the world’s highest mountains complemented her business aspirations and dedication to making a positive impact in the lives of countless others around the world. By plugging into a few episodes of Sounds of the Trail, anyone considering setting off on a long-distance thru-hike can gain a wealth of tips, inspiration, and plenty of precious pre-trip BETA from a team of trail-toughened experts who have been there, got the blisters, beat off the bears, and lived to tell the tale. This one covers every aspect of life on the trail, joining aspirant thru-hikers who offer off-the-cuff expose on trail life all while they’re out doing their thing on North America’s big three: the Pacific Crest Trail, the Appalachian Trail, and the Continental Divide Trail. While there are plenty of insights into gear choices, route selection and so on, this one is more about the personal journey and the real challenges faced by these hikers as they take on the biggest challenge of their lives. What makes this one special and refreshing is that, in our experience, the post-trip blogs written up by many thru-hikers tend to look back with rose-tinted glasses or otherwise post-process the “warts ‘n’ all” reality of their time on the trails with a touch of unmerited bravado and nonchalance. Because many of these episodes are recorded while the hikers are deep in the throes of their adventure, we get the director’s cut, as it happens, minus the prettified prose and polite rephrasing! 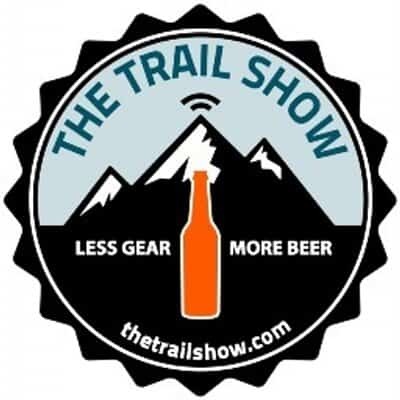 Imagine a bunch of trail-going buddies sat around a campfire with a microphone hidden somewhere among the collection of empties and soon-to-be-emptied beer bottles and you get an idea of what The Trail Show is all about. Far from criticism, however, the above comment is a commendation of the show’s quirky, goofy, chilled, but always entertaining take on long-distance hiking and everything that goes with it. If informative, fact-based discourse and high-brow commentary are your thing, then this one most probably won’t be your bag. If, however, you want to hear and learn from the experiences of those who have walked the territory (all the speakers on the podcast have completed the holy trinity of the Pacific Crest Trail, Appalachian Trail, and Continental Divide Trail) with lots of laughs, plenty of interesting asides and feel like you’ve made a handful of cool new friends along the way, The Trail Show will likely soon be accounting for most of the storage space on your MP3 player. Sit back, crack open a beer, and enjoy! The Ten Essentials, trail food, and how to lighten your pack weight. With over 200 episodes to choose from, this one will be keeping you company for a long, long time! 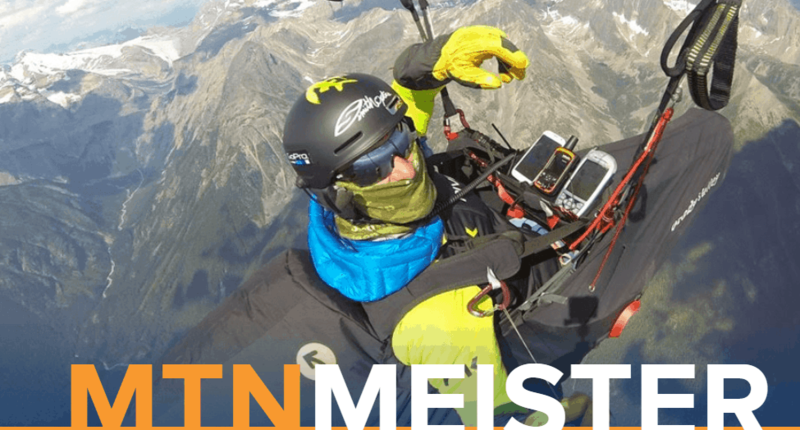 There are also gear reviews, trip reports, and plenty of personal anecdotes that give it a bit more variety that some of the other podcasts featured on our list. What we like most about The First 40 Miles is that hosts Heather and Josh Legler are very down to earth and communicate with their listeners in a way that’s easy to relate to and learn from no matter how experienced or inexperienced a hiker you happen to be. 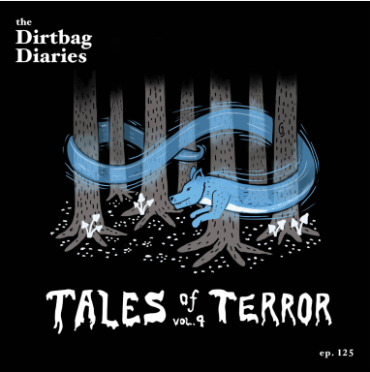 Our favorite episode is the highly entertaining “Scary Stuff,” in which the hosts embark on a humorous look at the various fears that keep first-time trail-goers awake in their tents at night, with wise and witty commentary on everything from cougars to obnoxious odors. Brought to us by New Hampshire Public Radio, Outside/In casts its net far and wide and treats us to a variegated menu of episodes all related to our place in the natural world, from the experiences of hardened trail-goers to the lives of those who call the great outdoors their home and place of work. Beyond the interviews and tales, it’s also a great source of information for would-be wanderers and offers the chance to learn something new in topics as diverse as environmental engineering to botany to sustainable living. Given the byline “A SHOW ABOUT THE NATURAL WORLD AND HOW WE USE IT”, this show’s wide-ranging content means you’re sure to find something of interest, or, more likely, spend a great deal of time working through the episodes from start to finish. Our top pick of the tracks on offer is “10×10, Pine Barren”, an interesting, hard-hitting look at the problem of forest fires and climate change that refuses to pull any punches. Whether subjects like environmental conservation, sustainable living, and environmental activism are your thing or not, this one is well worth a visit. “The Joy Trip Project is my ongoing search to find the answers and discover how to lead a harmonious life in balance with the natural world and the rest of humanity,” says founder James Edward Mills, and to this end he delivers his listeners regular, engaging podcasts on a wealth of topics centered around outdoor recreation and environmental and social issues. Our pick of the bunch is an interview with “national treasure” Betty Reid Soskin, the 95-year-old (!) National Park Ranger who shares her thoughts on days gone by and how they are reflected in the present day. 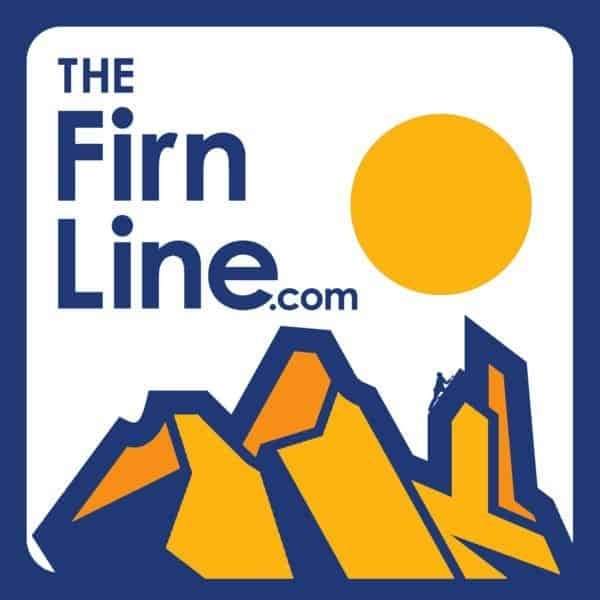 “My goal is to have meaningful conversations with extraordinary people; the folks who choose to live full-value lifestyles, in the wildest and rugged mountains on the planet.” So says Evan Phillips, The Firn Line’s host, and founder. And boy does he deliver… The Firn Line’s hour-long episodes are never short of thought-provoking, and many of them are so utterly captivating that they’ll likely be featuring on your iPod’s “most played” menu sometime shortly after your first visit. This podcast gives us a peek into the mentality and motivations of those outdoors-goers who live life in pursuit of the next big challenge. It’s not just bragging or chest-beating bravado, however, but features insightful interviews, riveting storytelling, and some pretty eye-opening disclosures on the lives of those who prefer their walks to be a little more on the wild side than your average human. Our top picks are a conversation with all-around badass adventurer and filmmaker David Lama, a very frank discussion with Charlie Sassara about his 1984 attempt on Makalu, and the inspiring, motivational tale of how mountain and endurance runner Adam Campbell faced down fate’s firing squad following a life-changing injury sustained in British Columbia’s Selkirk Mountains. Only two seasons in, we’re already eagerly awaiting the next installment…! For one of those podcasts that positively humble the listener by opening their eyes to previously unheard perspectives and ways of life, look no further than the Threshold’s playlist of intriguing tales and discussions on natural history, environmental issues, climate change and, eh, reindeer herding. While focused on issues pertaining primarily to Alaska, this one’s got enough in the way of engaging storytelling and novelty to appeal to everyone. Our pick of the bunch is Season One’s “Oh, Give Me A Home,” the tale of the American bison’s displacement and hunt for an unspoiled habitat to call home in the country that lists it as its national animal. Nerdier outdoor fans might find a favorite fix of outdoor-oriented audio in the slightly academic offerings of The Field Guides. All that’s missing from this one to make it worthy of BBC sponsorship are those scholarly quips and learned tones of David Attenborough. Host Steve, however, does an excellent job of keeping things light while delivering epic amounts of intel on natural history and the science of North American wildlife and throws in enough entertaining anecdotes and asides to add entertainment value at the same time. While a long way from being edge-of-your-seat kinda stuff, this one’s a good choice for those who like to feel they’ve increased their IQ by the time they hit the stop button. For those who like to mix up their hiking with a bit of climbing, or at least take an interest in more extreme modes of mountain-going, The Sharp End is sure to become something of a regular on your playlist. The Sharp End produces monthly podcasts featuring occasionally chilling and always thrilling interviews with climbers and rescuers involved in the life-threatening incidents reported in the American Alpine Club’s Accidents in North American Climbing pages. While the goal is to make us, the listener, aware of the dangers involved in alpine pursuits and help us become better, safer climbers and mountain-goers, the tales told offer just as much in the way of entertainment and are sure to have you shushing the whole family while you catch the denouement to any of the often grim but always educational tales of survival. In the Outlandish podcast, we find the United States Forest Service’s attempt to include outdoors-lovers in the discussion and processes that will go a long way to determining the future of public lands and national forests. This is a great resource for those concerned by developments both on a local and national level and not only helps keep you informed on the latest movements in Forest Service policy and the threats that our forests face at the hands of developers, disease, and climate change, but also delves into the history of the Forest Service and the surprising complexities of effective land management. 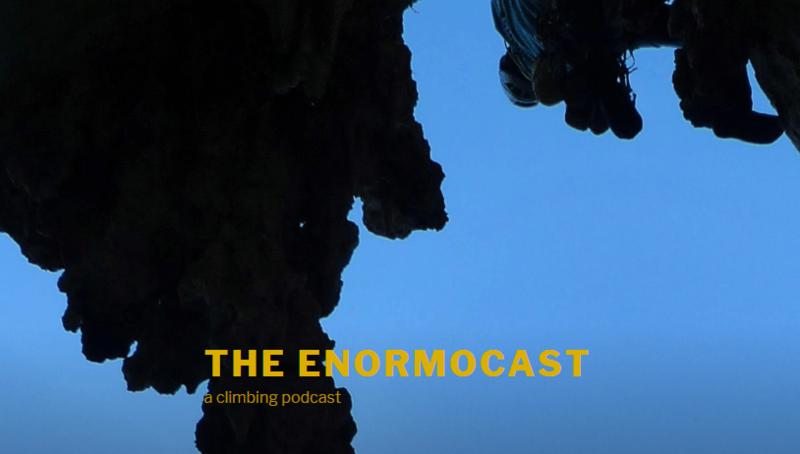 Okay, so this one is more climbing-specific than anything else on our list, but given that a great number of trail-bashers dream of one day making their routes a little more vertical (or have already done so), the Enormocast is well worth a listen. Ever wondered what life’s life behind the doors of those who are responsible for the running and upkeep of the US National Parks? This podcast takes you behind those doors and explores a variety of topics ranging from access rights to wilderness management to trail maintenance to the health benefits of spending time in the outdoors. This audio-blog is one for the thoughtful adventurer who likes to dabble in a little bit of amateur psychology or simply enjoys hearing well-argued or very spirited justifications for living a life that’s just a little beyond the comfort zone of your average human. “The podcast that explores the minds of those who explore” features tales of cross-continent trips from Alaska to Argentina, profiles of modern-day explorers, discussions with modern-day Odysseus, and an interview with a chap called “The Real Hiking Viking”, whose surprisingly eloquent account of his travels and travails while attempting to cover all 2,200 miles of the Appalachian Trail in the dead of winter will grant the kind of perspective that will make your sunny-season thru-hike seem like a cakewalk by comparison.